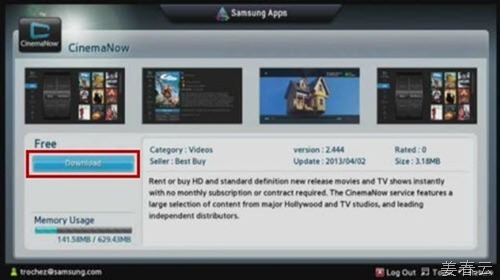 Below is the graphic user interface of Samsung Movies and TV Shows on Samsung Smart TV. 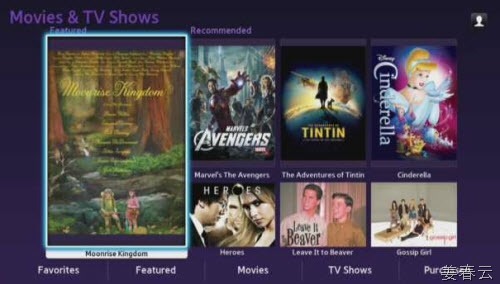 Movies and TV Shows provides recommendation feature for better entertainment environment. 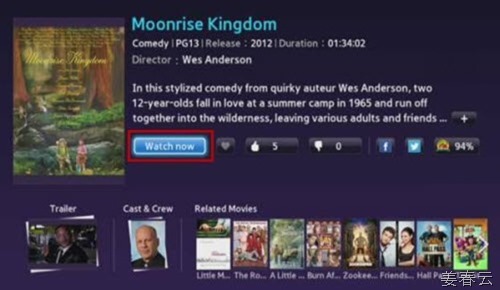 The title screen is where you can read a description of the selected title, view trailers, cast & crew info, and related movies. You can also give the movie/show a thumbs up or down, share it on Facebook/Twitter and read the Rotten Tomatoes reviews. Subscription services will display 'Subscribed' if you have already linked your accounts and will not charge you when selecting this option. If you have not linked your accounts you will be prompted to enter a credit card and then activate. The Samsung Apps Store launches automatically and opens to the selected service provider's App page. Here you can read details about the service provider, see screenshots of the App in action, as well as view current player Memory Usage. When the App finishes downloading and installing Run is automatically highlighted. 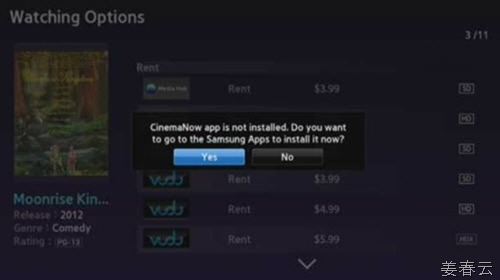 From here you can either run the App and activate it, or you can press the return button on your remote to go back to the Samsung Apps store and continue downloading more Apps. 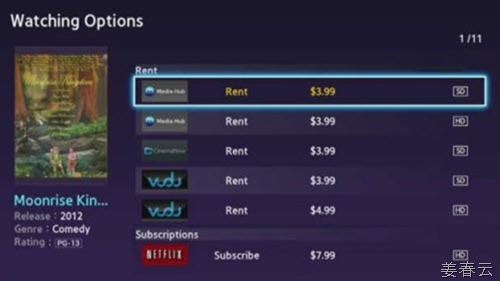 If you need to exit just press the exit button on your remote control to return to the player Home Menu. 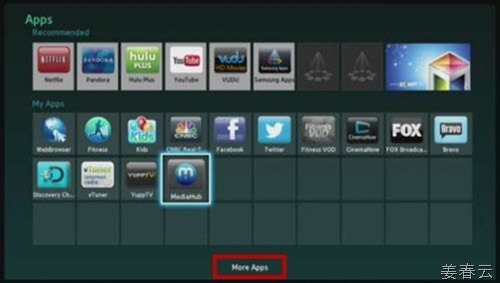 Downloaded Apps will be listed under My Apps, whether purchased or free, if you do not see your App go to More Apps. Apache HBase is a storage system, with roots in Hadoop, and uses HDFS for underlying storage.